3. 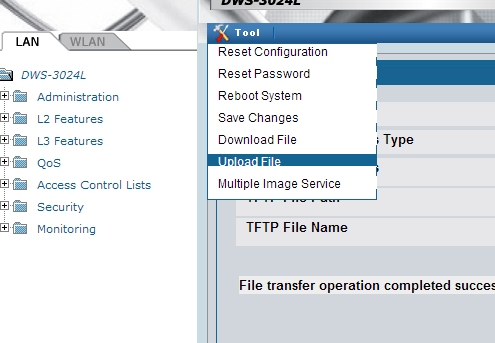 In the web interface for the DWS-3024, go to "Tool" button and then "Upload File"
4. Under "File Type" click the dropdown box and select "Configuration"